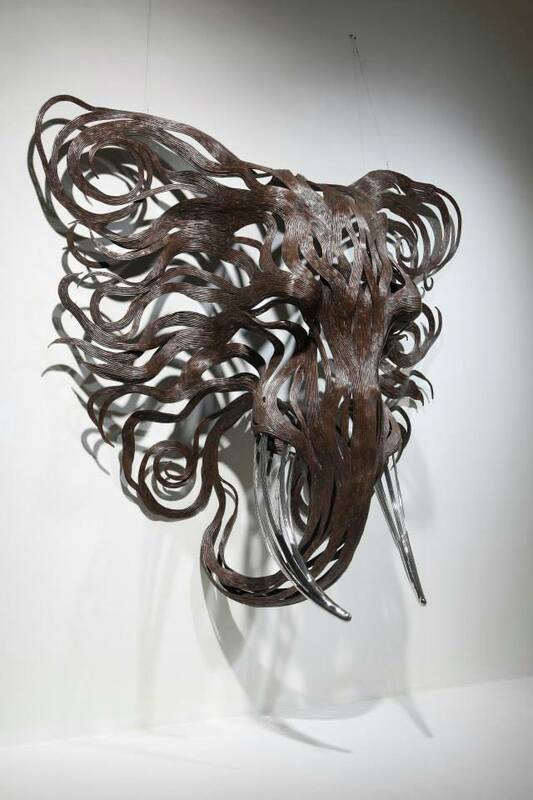 Artist Sung Hoon Kang‘s stunning animal sculptures embody the movement, speed, and chaotic energy of the wind. Though static structures, each of his pieces seem to come alive as metal strips are transformed into muscles and motion that flow in the wind. Kang’s talent is apparent within his artwork, releasing raw energy from the flowing materials. The sculptures are time-consuming and labour-intensive projects as dozens of individual strips of metal are welded into fixed forms. 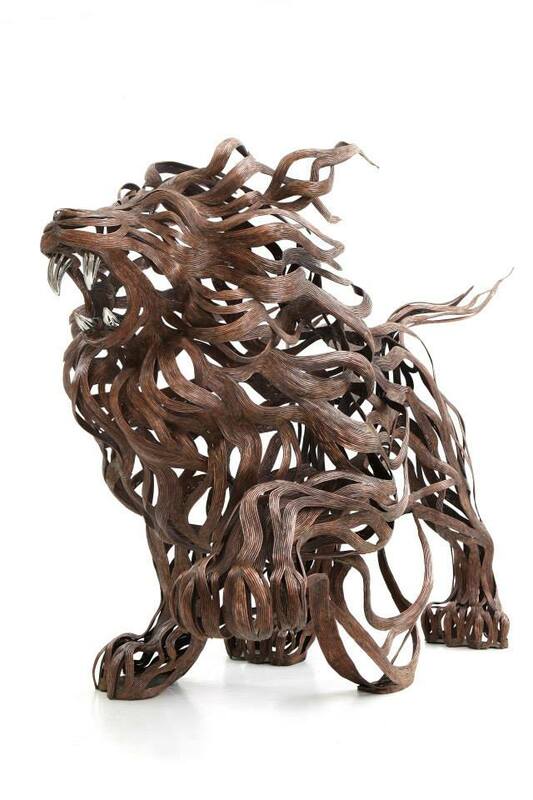 Varying the length and thickness of the metal, Kang creates the lifelike illusions of skin, fur, and hair; and stainless steel is converted into lustrous claws and teeth. From the playful seal to prideful lion, all of his animal structures contain a sense of dynamism that belies their unmoving nature.